People who wish to get the most out of their laptop, MP3 player or PC’s sound capability will no doubt need a good pair of speaker. The three devices mentioned before does not always come with inbuilt speakers. If they do, then also, those are generally of poor quality. The quality which makes audiophile PC speakers under $500 stand out from the rest is the set of specially designed speakers. These speakers ensure that the sound produced is pretty loud. Connecting these music speakers with your system is also very easy. A majority of the PC speakers feature a 3.5 mm jack, the same type available in most headphones. This PC speaker comes first in line whenever you talk about cheap PC speakers offering Audiophile-Level Audio Experience. Undoubtedly this speaker is better than many other 2.1 desktop speakers available. The best part about this speaker is that it provides an aesthetically pleasing sound. The package comes with two satellite speakers which are 2 inches driver and 6W each. 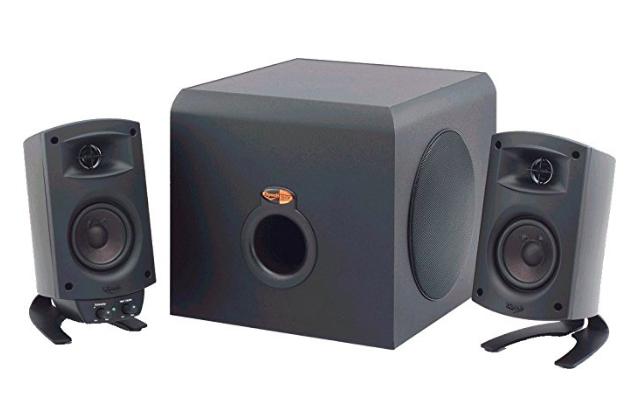 The subwoofer equipped with the package provides 18W sound. The total sound wattage of the Cyber Acoustics CA-3602 is near about 30W. The controller remains connected to the subwoofer and comes with a large dial at the top. It functions as the volume controller. The given provisions entail for two ports, one for connecting your headphone and the other is an AUX in port. This is not like other average cheap PC speakers. The M-Audio Studiophile AV30 is an actual active studio monitor that serves as an audiophile grade speaker. This particular piece deserves mention on this list. Size wise this is the best type of audiophile PC speakers as it looks like most bookshelf speakers. But remember that looks can be deceiving. This model from M-Audio is a cheaper alternative to the well-known M-Audio Studiophile AV40. A package of AV30 comes with a pair of speaker, stereo cable and RCA, a pair of rubberized cord, a power cord and a user guide. As far as size is concerned these audiophile PC speakers under 500 dollars are 8 inches high, 6.3 inches wide and 5.3 inches wide. They weigh around 11.7 lbs. The presence of a 3 inches woofer offers you accurate and tight bass. The 1-inch tweeter is there for producing natural and clear highs. If you are tired of watching cheap speakers which are a little bulky and not so attractive, consider this one. Bose has been striving hard to increase the style quotient of speakers. However, that does not mean that the Companion 2 Series III is high-priced. It is, in fact, the best part of this PC speaker. Bose has been known for years to produce best audiophile speakers that offer great audio experience. The Companion 2 Series III is also not an exception. This black coloured PC speaker with a matte finish design comes with a foam grill instead of metal grills present in many models. The package contains one user guide, a sleek adapter, 3.5mm male-to-male wire and most importantly a pair of Companion 2 speakers. At the same time, all of it comes in a luxury that you can afford. As far as sound quality is concerned, it is better than most 2.1 models. If you think that the Bose Companion 2 is not your cup of coffee, then we have something different for you. 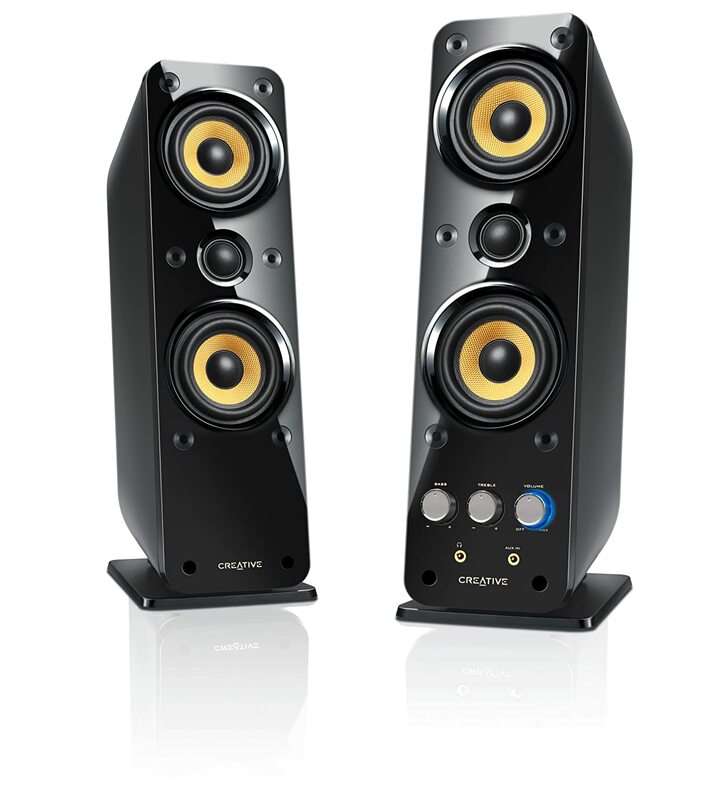 Here comes the Creative Gigaworks T20 Series II which is a great pair of affordable and top audiophile PC speakers. The actual Gigawork T20 series was a total mess. It is an upgraded version and at present is the best computer speaker within a tight budget. These compact audiophile speakers are best for people living in a comparatively small house and want to get rid of the hassle of managing many speakers at a time. The design is completely sober and is not loud. The best part about these exclusive compact PC speakers is that it combines three speakers in a single satellite. At the very front, there are the yellow coloured speakers meant to handle the mids. Just below it, there is a small tweeter, and at the very top, there is the bass speaker which acts as a subwoofer. People with a budget of $250 can easily buy this Audioengine A2+ audiophile PC speakers under $500. If you are a style savvy person, this model will fit your needs perfectly. The glitch free performance and the elegant design make this speaker the best affordable PC speakers under 250 bucks. This model comes in three distinct colours- red, white and black. Each one comes at the same price. It means you can choose any type freely without worrying about the budget. The build quality is the best as it crafts out of real wood which has a thickness of about 18mm. At the front of this speaker, there is a 2.75-inch woofer and a doom tweeter of 0.75 inches. Apart from these, there are not other buttons. As you move to the back of the speaker, you will be able to spot a volume knob, RCA input, USB port, power port and a connector. If you are looking for enchanting sound then this Bose product is your perfect pick. The style and design of these multimedia audiophile speaker are very different from all other speakers of the same type. No doubt this is a 2.1 computer speaker system. The factor which makes these speakers different is the presence of a central rod which helps to relate the speakers from the ground. Moreover, it comes with a built-in amplifier and DAC which helps in processing sound within the speaker and not inside the computer. As far as music is concerned, the Companion 5 offers the best experience as it offers a high amount of bass. Bose is of the opinion that it is capable of producing 5.1 sounds, in spite of being 2.1. Moreover, there is a control pad along with a volume knob. The MM-1 from Bower & Wilkins is one of the best audiophile PC speakers under $500. It has a premium design, and you can feel the sophisticated nature even when it is not working. The fact that it lacks a subwoofer does not make it less powerful. This PC speaker has the best sound quality that you can notice in audiophile speakers below $500. The manufacturer has embedded a digital analogue converter within the speaker itself to offer a soothing audio experience to the users. Both the speaker remains fully covered with a fabric grill and bears a silver line passing through the middle. Moreover, it comes with a left and right marking which helps you to place them accurately on either side of the computer. MM-1 uses a USB port which helps in connecting the PC to the speaker. You might have started thinking how a list of audiophile PC speakers under 500 dollars can lack a Logitech product. Here we bring an end to your wait with Logitech Z623. Priced only at $325, this PC speaker offers you every feature you is worth searching. Further enhancing is done to the audio hearing with the inclusion of a subwoofer. The design of this PC speaker is incredibly decent and is enough to attract anyone and everyone. 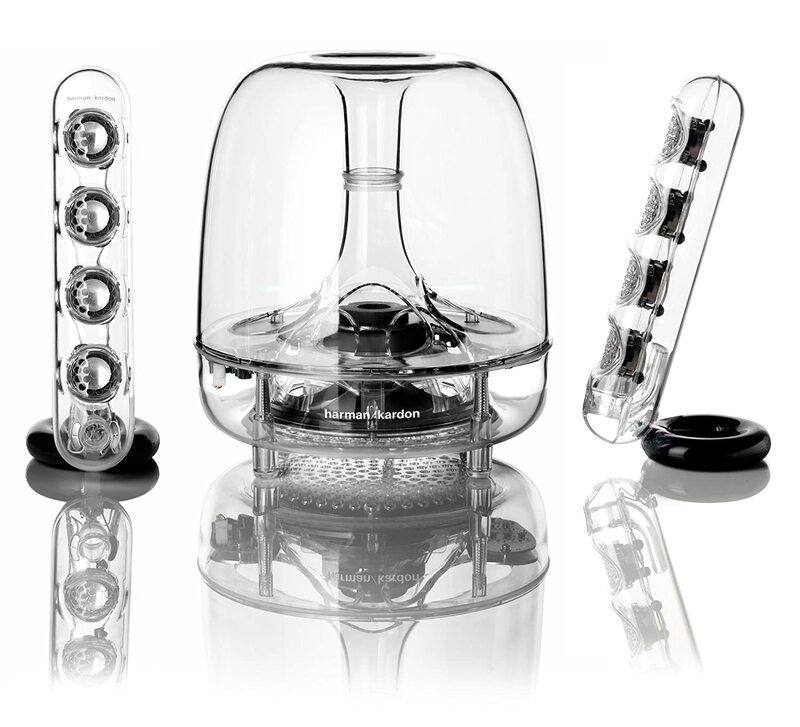 This attraction rises with time as you start using these best sound speakers. The best part about this speaker is that it comes with a THX certification. You will be able to notice the volume knob, power button and the bass controller on the right speaker. The sound quality of this speaker is excellent and is capable of delivering an output of 200 watts. People are looking for a high-powered yet affordable audiophile PC speaker will get their desire fulfilled in this PC speaker. Every audio enthusiast is well aware of the name Klipsch. This brand has been producing excellent quality budget earphones with exceptional performance. 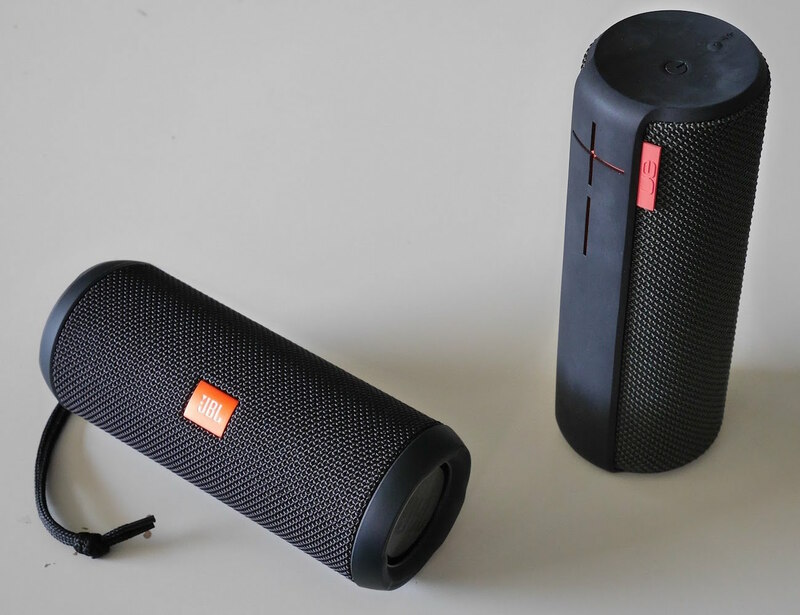 They have created a PC speaker system called ProMedia 2.1 which deserves special mention. If you are looking for affordable audiophile PC speakers for money, this model will satisfy you. The package contains two satellite speakers, some cable sets, a subwoofer and a user manual. It has a minimalistic design which might lead you to underrate the product at the first look. One feature that makes this a unique piece is it is THX certified. It means you will be able to get the perfect sound experience that musicians have tried to make. 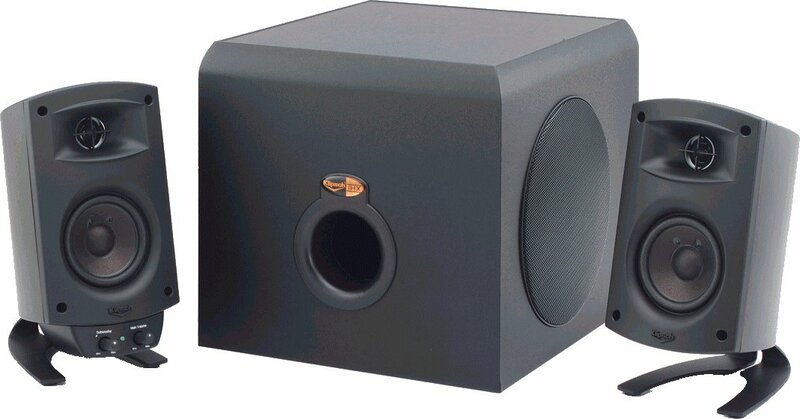 Here is another Audioengine PC speaker for you which is the big brother of the Audioengine A2+ stated earlier. Both the speakers look similar regarding looks and design. The specialty of this speakers is, they are hand-built and a thick MDF cabinet crafts it out which is 1 inch thick. 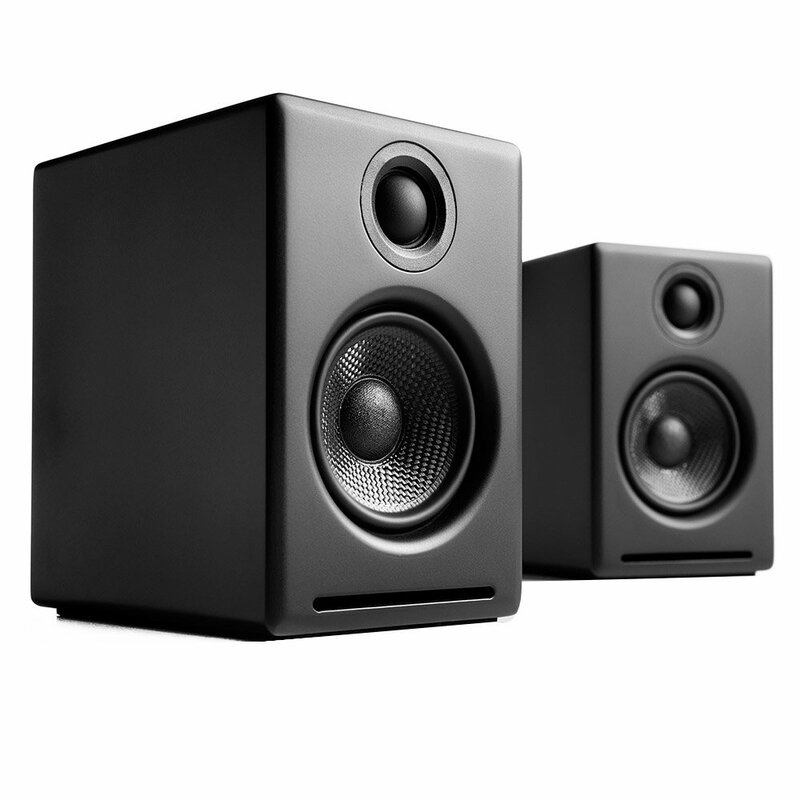 These audiophile PC speakers for money are available in two colours white and black. Feature wise they include a 5 inches woofer that is Kevlar build and a silk dome tweeter of 2 inches. The package comes with a pair of Audioengine A5+, speaker wire, remote control, RCA cables, Cloth speaker bag, a detachable power cord and a user manual. The Harman Kardon Soundstick III is the most adorable looking, affordable PC speaker. It has an exclusive built and comes in a clear case design. This unique looking speaker is sure to grab every music enthusiast’s attention. It is a 2.1 channel speaker system that comes with a down firing subwoofer along with two satellite speakers. There are a power connector, RCA connectors and a quick start guide along with the satellite speaker and the subwoofer. The speakers come with a 4X1 inch transducers containing a 10-watt amplifier each. These best buy speakers features a Soundsticks which comes with an amazing rotating stand, will surely add style and glamour to your desktop. Creative T40 and the mentioned Creative T20 are like siblings. Few months after the company released the T20 it came with T40 and blew away our minds with good looks, great sound and low-cost combination. Though almost similar, there are a few dissimilarities. The colour is slightly different which is an attractive factor. The front now has a glossy black finish which makes this model more appealing than the former one. The front controls are also slightly different. This model has the volume dial and the power switch surrounded by a blue light. The power and volume change come in combination with a single switch in the Creative T40. All the power sockets are at the back and are gold-plated. It is a must buy audiophile PC speakers under $500 if you are looking for a sophisticated yet affordable model. Similar to many other affordable high-tech speakers, audiophile PC speakers under $500 have gone through the massive evolution in the past few years. The first and the most significant breakthrough were, welcoming the wireless technology. It means once you connect such a speaker to your PC you will be able to enjoy the music from any part of the house. Moreover, you will never be restrained by cables and wires. The wireless speakers use the most recent Bluetooth wireless technology. It means their signals have a large range and can maintain a steady connection. 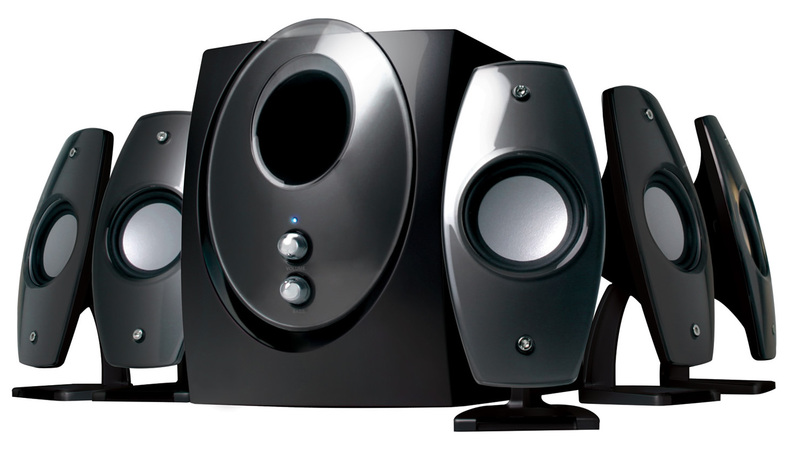 Audiophile PC speakers for great sound are of different types. The currently available 2.1 speakers are the simplest and cheapest models. Most of such systems consist of a subwoofer and two speakers. Such set up makes these new age exclusive PC speakers perfect for avid gamers. However, the sound quality and other audio features might be slightly on the higher side, if you are using these speakers for watching movies and listing music. Whatever your needs are, getting an audiophile PC speaker is a must to get a pleasurable audio experience. 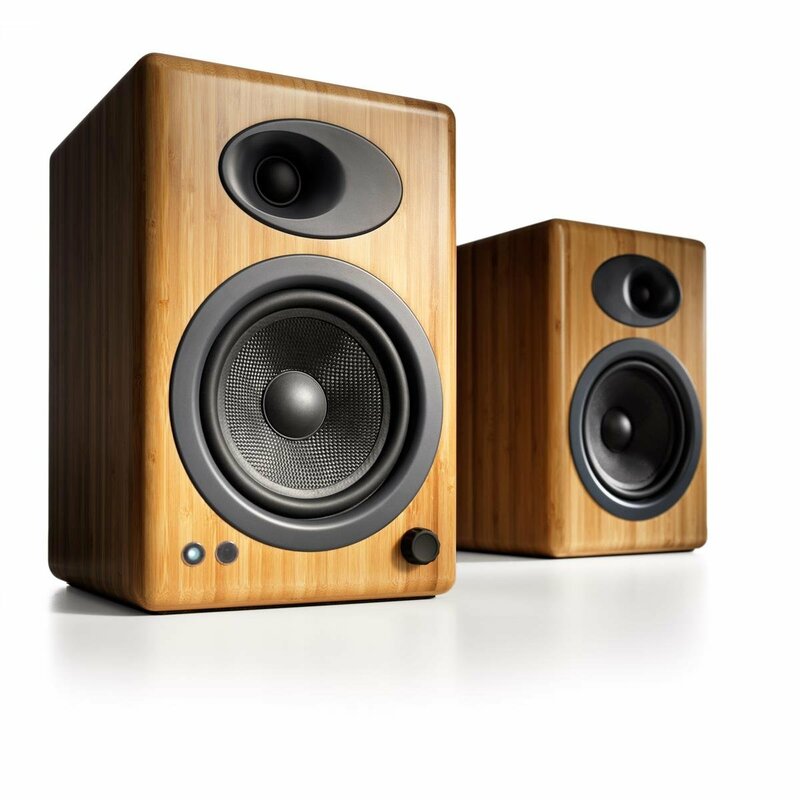 As there are a huge variety of high-class PC speakers available, determining the best can be a bit problematic. To bring an end to such problems here is a list of the 12 best affordable Audiophile PC speakers. Read on to choose the one that suits your needs perfectly. 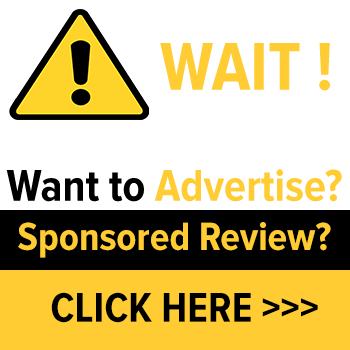 This huge list is no doubt enough to help you decide which the best audiophile PC speakers under $500 to buy is, that suits your needs perfectly. Maybe you have already unlocked the best one at the very first position. If not, do the same and enjoy a pleasant audio experience. Each of the affordable audiophile PC speakers mentioned here is unique in its form. Take out time from your busy schedule to go through each one before you jump to conclusion.